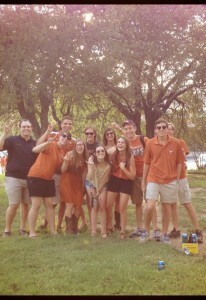 Hook ’em! Some of us MPAs in between tailgating and going to the game. Work hard, play hard. It’s a cliché used by many groups to identify the fact that yes, their path is difficult but it doesn’t stop them from partying. Of course, I can’t speak for the entire class of MPA students, but I think it’s a stereotype that applies here as well. Since I like to start with good news, let’s first delve into the “play hard” bit. If I am honest with myself, I have to admit that an important factor in my decision to come to UT over other master programs in accounting was the cultural amenities Austin has to offer. I knew that I couldn’t be happy in a sleepy, encapsulated small town or a suburban concrete savanna. Austin is the Live Music Capital of the World and a thriving mecca for wandering hipsters from all over America. The city’s unofficial (maybe official?) slogan is “Keep Austin Weird” which, turns out, is more of a plea to newcomers not to try and shape the city into their preconceived notions of a cool city. Instead, the idea is to be weird yourself and be a cultural contributor. I have had the good fortune to spend some R&R time with my fellow MPAs in Austin. Most recently, a sizable group of us went to 6th Street on Halloween night. There were tons of people in the streets, closed down to traffic for the night. 6th Street can be a fun party any time of the year as well. Tailgating before football games has also been a good way to unwind on the weekend before watching our (now ranked!) Longhorns play on our home field. 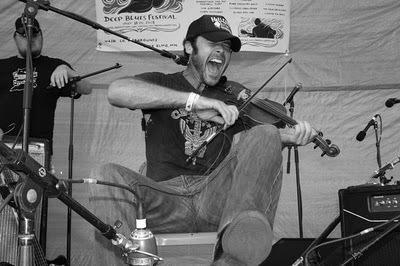 Possessed by Paul James, a talented local musician I saw at the Scoot Inn with a fellow MPA. Catching some great live music is one of my favorite things to do, period. Having lived in Nashville and New Orleans previously, I am no stranger to a good music scene, and Austin definitely has a great music scene. There are some great venues on Red River and also on East 6th Street (as opposed to the aforementioned and affectionately dubbed “Dirty” 6th Street). I suppose I should get around to the “Work Hard” part. Being that UT’s MPA program is the top ranked program of its kind, you can be sure that we work hard. The result will be our technical competence in our field, which is one of the reasons grads of this program are highly sought after. When we aren’t partying, we spend a lot of time studying for our upcoming exams, completing homework assignments, group projects, and case studies. That’s not even including all the recruiting events we attend throughout the year. All this hard work we put in towards earning high marks definitely earns us the right to party. 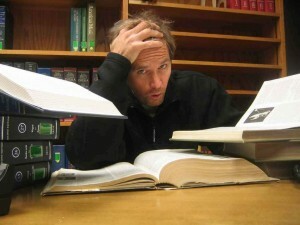 Stock photo of some really intense studying, much like that which can be found in the University of Texas MPA program.